Configure to your needs! Stack and connect one dispenser with another to create your own label system while saving valuable counter and shelf space. More than one dispenser must be purchased for stacking and connecting. Connects side to side by the interlocking tabs on each side of the dispenser. 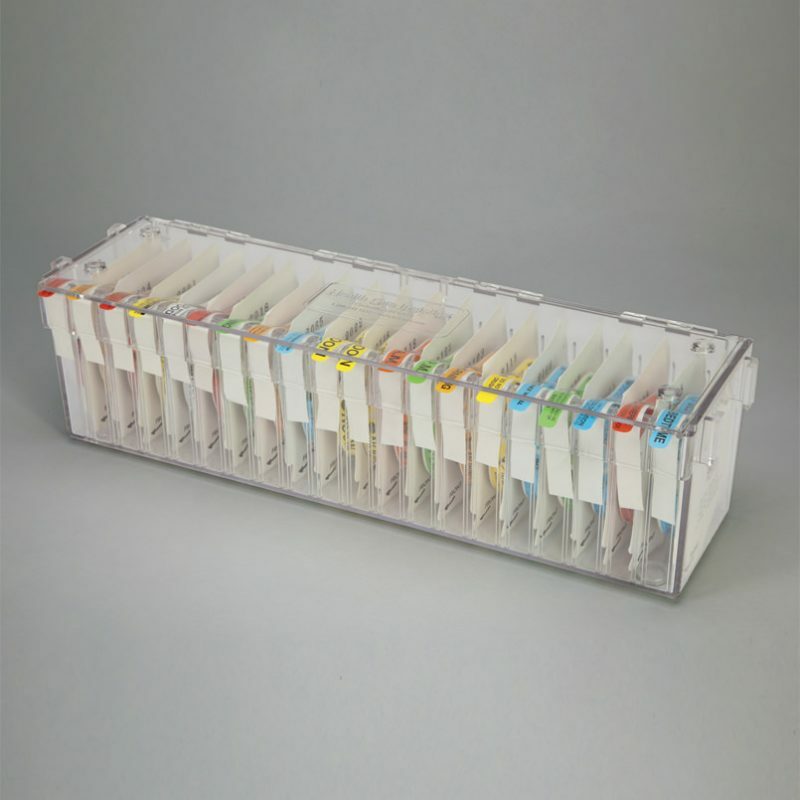 The 20 Roll Label Dispenser can only be connected to another 20 Roll Label Dispenser. Raised notches on the dispenser lid nest inside the bottom of the dispenser allowing them to securely stack. Protective dots are included to prevent the bottom dispenser from moving while stacked. Does not include dividers. It accommodates blister packed 3/8″H (10mm) labels and labels on a roll. Only 500 roll labels/packs will work in this dispenser. Quick to load and thread. Just pull on label liner, and the label is ready to apply. Mount to a wall using holes provided in the back of the dispenser. This dispenser does not include dividers.